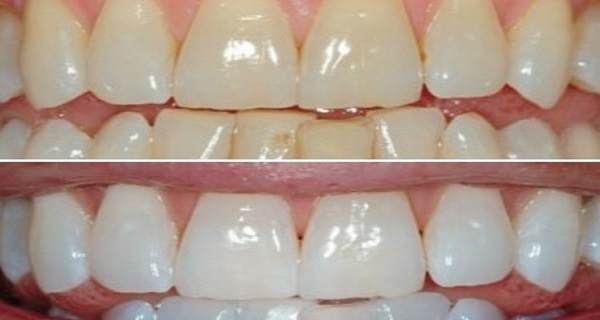 White, clean teeth-something we all try to have but sometimes cannot succeed. Maybe because you have never tried this recipe for which you need only 2 simple ingredients. If you don’t believe ask your grandmother she knows for sure. You have nothing to lose if you try this recipe immediately-make a mixture from these two ingredients and you will have a smile like a TV- star. Before mixing the lemon with the baking soda you need to squeeze it. Immediately after mixing them, foam is created so you need to wait until it is gone. Put the mixture on your teeth with a help of a cotton ball which was previously soaked in it. Wait for one minute. If you repeat this treatment often in order to whiten your teeth, avoid brushing your teeth in the next two hours. Always rinse your mouth after the treatment because the acid can damage the tooth glade and the next time you want to make the treatment it can damage your teeth as well.